The last couple of weeks, I’ve been invited to talk with our freshman Humanities classes about perspective. They are reading The Other Wes Moore for their unit on perspective and as part of the experience, the teachers invite several guest speakers to spend some time with their students. My life, which includes my perspective and success, is a self-fulfilled prophecy that began when I was but a small child. My mom’s words shaped my thinking and my perspective on life. For that, I am forever grateful. Thank you, Charmel M Carter! Good morning, New Albany High School Class of 2016. This is Mr. Carter with a few parting words of wisdom. • Don’t worry so much about what could happen, who likes you or not, and what you have to do. Focus on being present in the moment. 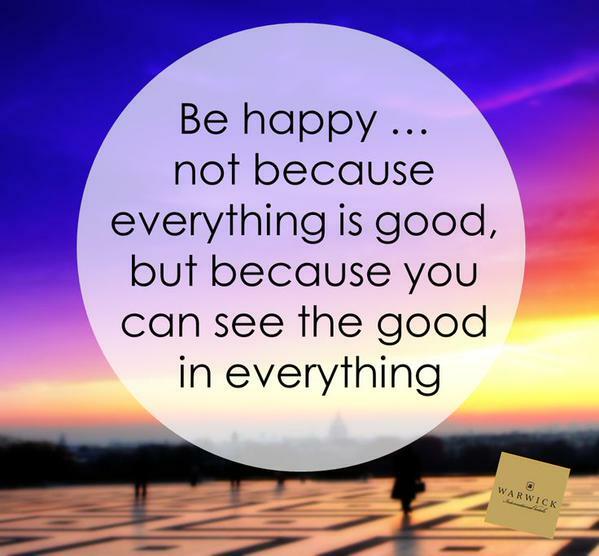 • It is impossible to be envious and happy at the same time. • One of the greatest lessons in life is learning to be happy without the things we cannot or should not have. • Remember the three H’s each time you greet others: a handshake, high five, or a hug. • Instead of making a “to-do” list, make a “to-be” list and then become it. • Make every effort to not talk about others behind their backs. • Remember to think on your feet, respond and not react, and perform under pressure. • Experience life beyond the screen of your phone, laptop, or computer. • Understand that life is not fair. • Present yourself in appearance, word, and deed how you want others to treat you. • A person makes a name, not the name a person. • Consistency is far greater than perfection. • You really don’t have to post, tag, tweet, snap chat, record, ping, or Kik every aspect of your life. Make time to disconnect in order to reconnect. With something to think about, this is Mr. Carter. Make it a great life… or not. The choice is yours. Increasing student voice is a key topic discussed in education circles today. From Student Government to school town hall meetings, education leaders are implementing a variety of strategies to increase student voice. My name is Joshua Rajakumar and I am a junior at New Albany High School. This year, I started the New Albany’s Young Business Leaders Club. We have been active for about a month now and we have had two guest speakers thus far: Mr. John Kish and Mr. Bill Ebbing. We are excited about this partnership between the New Albany Community and the High School student body. 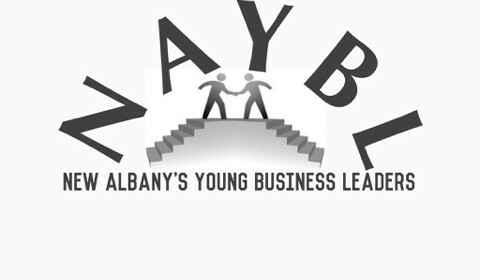 What is the New Albany Young Business Leaders Club? 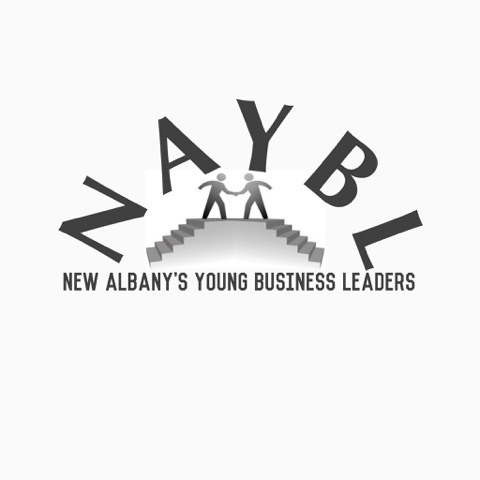 New Albany’s Young Business Leaders is open to all New Albany High School students – from those who have a strong interest in business related careers to those who would like to know what business is all about. We provide exposure to all areas of business related careers, leadership development, resume building, and networking opportunities. Members participate in lectures, workshops, and community projects related to the different areas of business. We meet every 2 weeks in the Jefferson Room on either Mondays or Wednesdays (currently Wednesdays) after school from 3-4 PM. 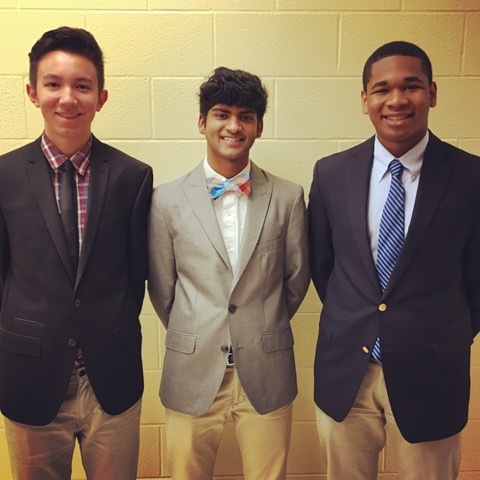 As the Founder and President of the club, I have been fortunate to have a team to assist me – Miles Waytes as the Vice President, Brian Schnell as the Media Manager, and Sudeep Ganguly as the Secretary working alongside me in this endeavor. We currently have 45 registered members. On February 10th, Mr. John Kish, the SVP and CIO of Safe Auto Insurance, gave a presentation. He spoke about diversifying talents to be capable of performing many jobs and duties. He also addressed three of the most important skills to be successful in the business world: technical skills, people skills, and vision. He also addressed the importance of interviews and resumes and the major things to focus on in each, as he has hired multiple people for jobs and internships in the past. On February 24th, Mr. Bill Ebbing, the President of the New Albany Company, gave a presentation. He spoke on the importance of community, creativity and perspective. He also touched on the positives and negatives of getting a masters degree/ MBA. The biggest thing he talked about was identifying your weaknesses early, so you can build a team around it and become stronger. On March 9th, Mr. Andrew Klinger, VP Wealth Management at the Huntington Investment Company, gave a presentation. He touched on a variety of topics, including the importance of transparency when working with a group to enhance productivity. He also stressed that you should not expect to start earning a very high base salary, and that when you enter the labor force, experience and perspective is more important than money. Because Mr. Klinger used to be a stockbroker, and is now a wealth advisor, he also spoke on some stock related topics. One piece of advice he gave was that even though you should buy low, to never buy a stock that is falling, and wait till it bounces back up. Other than low prices, he also spoke on the importance of looking at other factors such as the quarterly earnings, new management in the company, and the products they are making. He advised that that before you buy a stock, to always give yourself three reasons why you should buy it. In addition to this, he touched upon other topics such as derivatives, compliance and regulation, and commodities. On March 30th, Becky Jenkins, CFO and Treasurer of NAPLS, will give a presentation. On April 13th, Adam Van Treese, Campus Recruiting Manager for PricewaterhoueCoopers, will give a presentation. 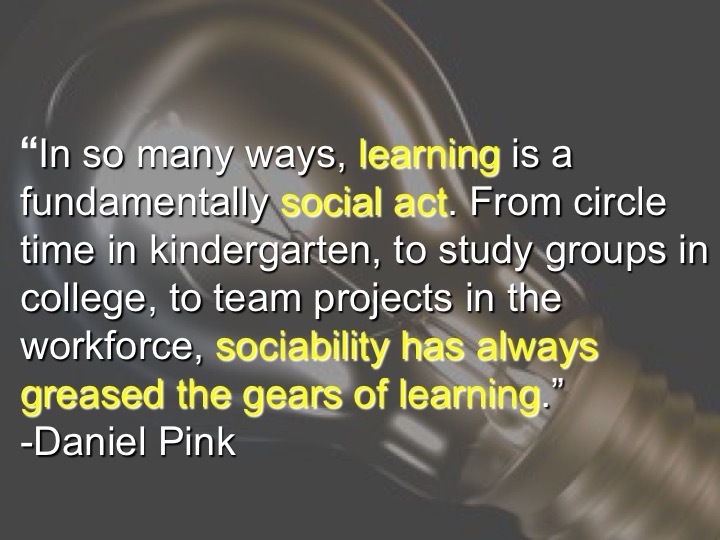 Outside of school, most people apply learning across disciplines, scenarios, and experiences. For a majority of our lives as students, we are taught in a system that creates blocks of time for learning specific content, much like the factory model of production. However, learning should be life and there is nothing linear about life. Life is irregular—thus, learning is irregular. We are in the midst of one of the most disruptive, yet exciting times in history: The Information Age. The rate of change has increased exponentially due to the rapid creation of new content that is produced as technology and life have become seamless. The rate of change continues to have an impact on our education system because students today, or Generation Z, have only known life with touch screen technology. Vast amounts of information is readily available to them with the touch of a button or finger swipe across a screen. They are also creating more content than any generation in history, thus they learn in some fundamentally different ways than we are used to. 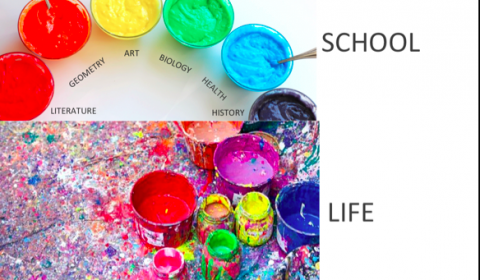 The linear, factory system of education is counter to the messy, irregular, and creative learning process that our students have grown accustomed to outside of school. Following are three key points to consider as we are challenged to meet the needs of Generation Z. The use of technology greatly enhances students’ power to learn on their own time, in their own space, and in much deeper ways than ever before. So, let’s embrace it! 2. 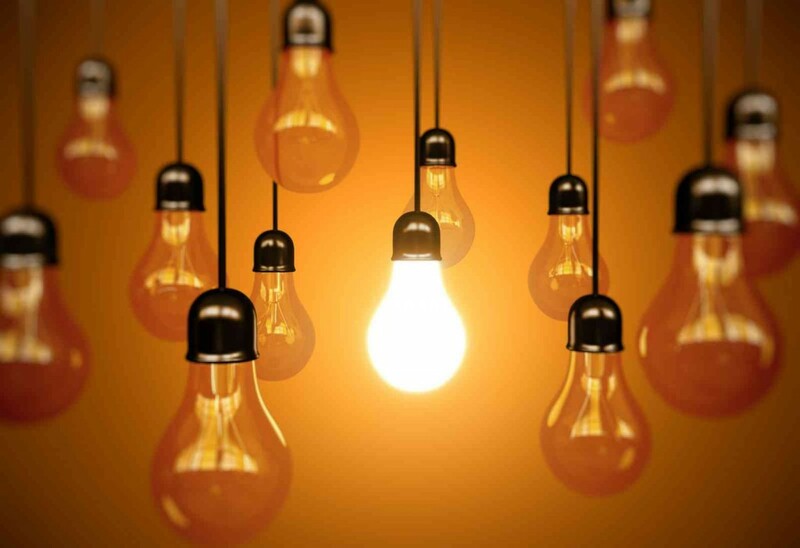 We must change how we deliver content due to shorter attention spans. We have quickly become a “sound-bite” society in that we are used to chunks of information shared in a compelling manner. 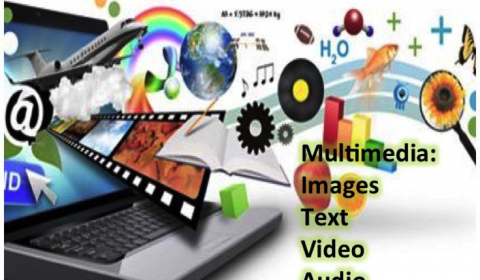 Gen Z takes in thousands of digital images and messages a day, so to make learning more relevant to them, we must not only incorporate all forms of multimedia, but empower students to create and integrate multimedia to demonstrate their learning. If we adopt the use of technology in the classroom, this is a natural byproduct. 3. 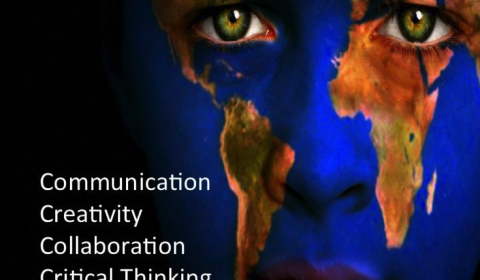 Focus on global skills development through the content we teach. It is often said that Gen Z will change careers 10-14 times before they retire. If this is true, it is impossible to teach them all the content they will need to be prepared for life. 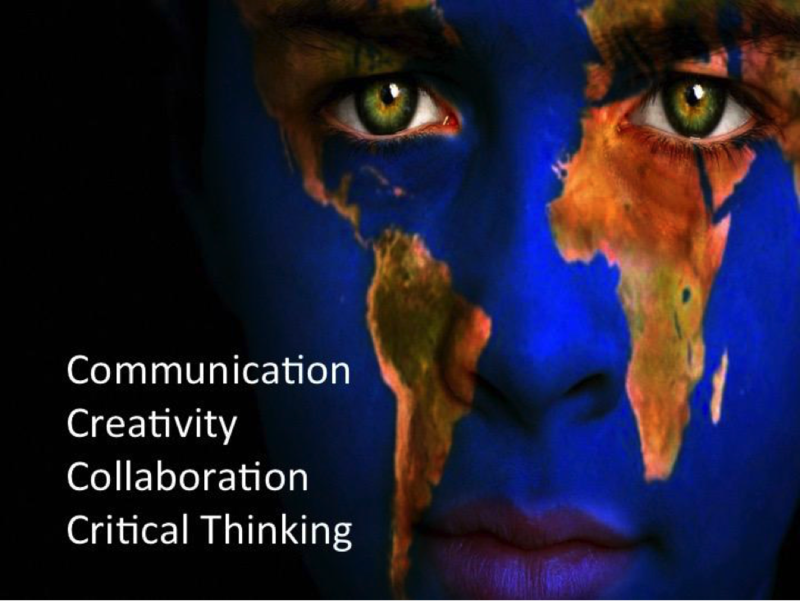 We must consider ways to develop the four key global skills of communication, collaboration, creativity, and critical thinking through our specific content areas. Another approach would be to create interdisciplinary courses that provide students the opportunity to apply content in meaningful ways. We should also integrate technology to help students determine what local, regional, national, and global problems they want to solve. This will, without a doubt, create the conditions for students to develop the necessary skills that transcend careers and jobs. 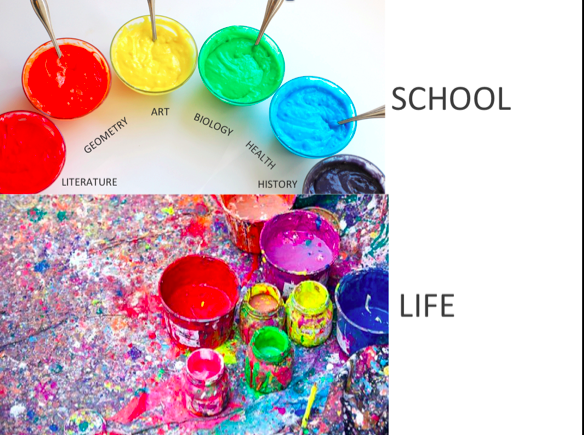 As we grapple with how to catch up to the changing times that occur in every industry outside of our own, we must consider the messy, irregular, and nonlinear learning process and embrace strategies that empower students to demonstrate their learning in meaningful ways. Week 18 at New Albany High School! I shared this image with my staff last week because it challenged my thinking about goal setting and starting over. 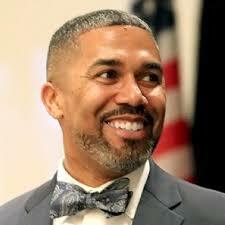 As educators, we are given the unique opportunity to start over at the beginning of each grading period or after long scheduled breaks, such as winter break or spring break. 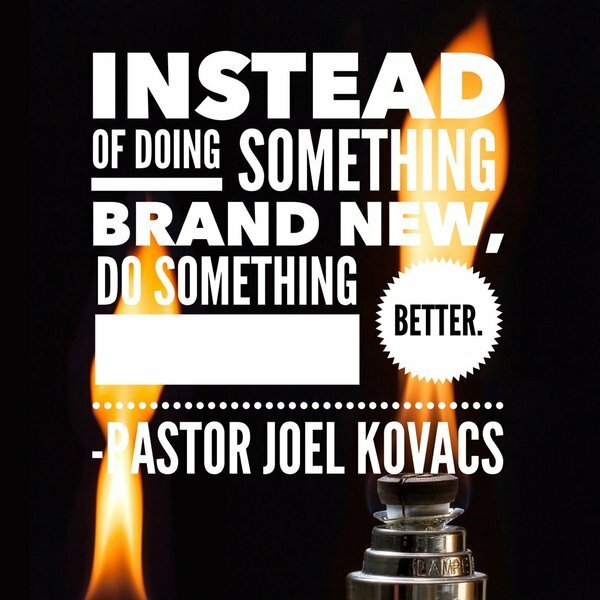 As each new year approaches, we are encouraged to set resolutions, but the message in the image reminds us to focus on doing something BETTER, not necessarily NEW. As we approach second semester and 2016, I encouraged staff and faculty to continue to think about the ONE THING each of us can do better rather than adding something new to our plate. We had a great first week back, which is captured in this brief Storify! As we approach the second semester, it is a good time to review some general expectations and procedures. -Be Punctual- Punctuality is a sign of respect. -Be Prepared- Prior planning prevents poor performance. -Be Present- Be here daily and also be in the moment. doing it in a high quality manner. -Be Positive- To change your situation, change your attitude. Week 2 at New Albany High School! We had a spirited-filled week! Students seemed to be excited about the start of the fall athletic season with golf matches, volleyball and field hockey games, cross country meets, last Friday’s soccer game and our first home football game. 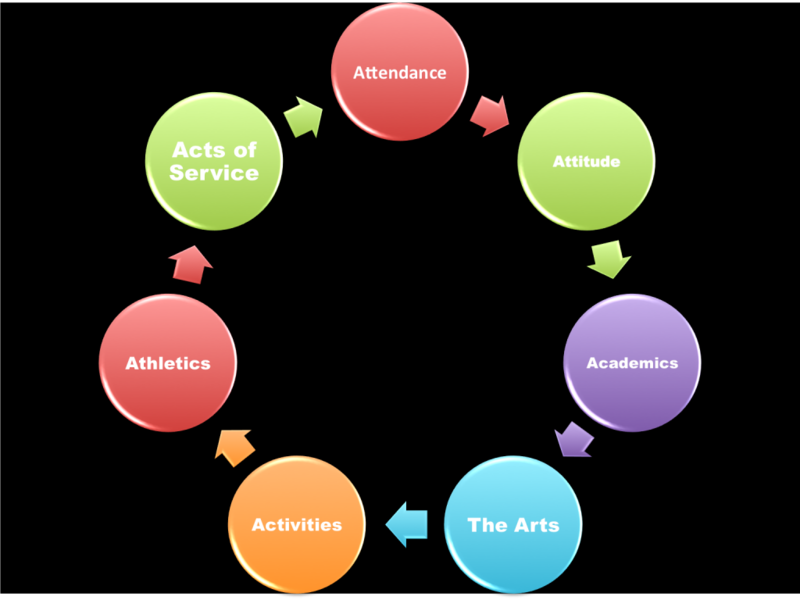 Athletics are one of what I call the “7 A’s of successful schools.” Athletics are an important part of the high school experience because they bring people together for a common cause, shared purpose, and unity. It’s what community is all about! Several teachers continue to share what’s going on in their classrooms using our school hashtag on Twitter or Instagram: #NAHSCommUNITY. During House, our upperclassmen lead the Class of 2019 through a scavenger hunt to learn more about New Albany High School. To get a glimpse of what took place this week at NAHS, click here. 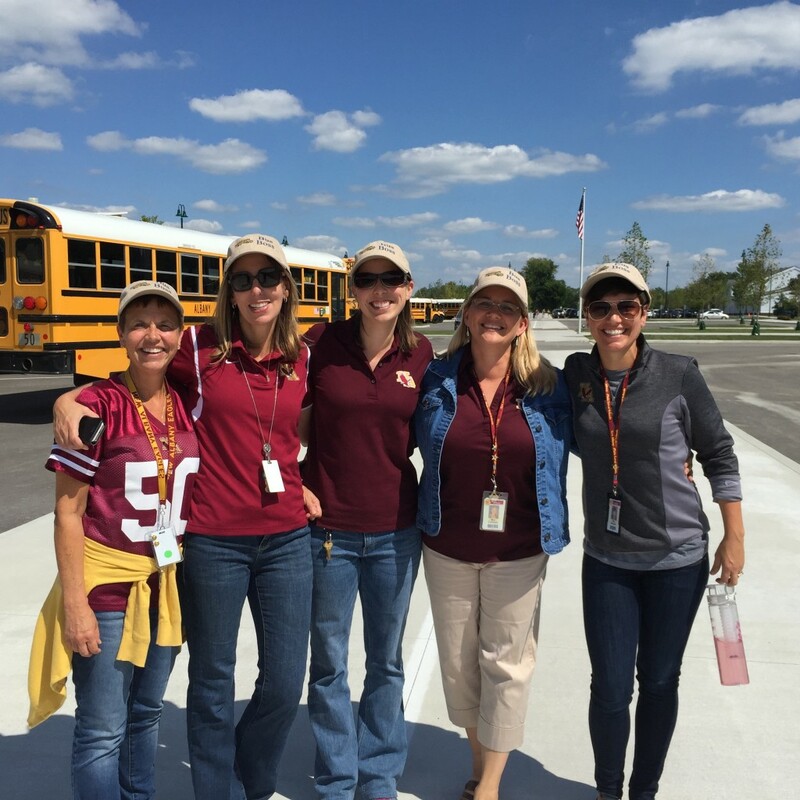 I commend our School Counselors for embracing their new role as afternoon bus duty monitors. They have not only embraced it, but they own it, as you can tell by the spiffy hats they just bought! 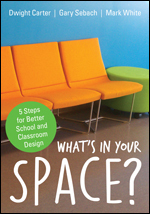 They use this as an opportunity to get to know students and to reflect together about the day. They laugh together, support each other, and share ideas to ensure they are providing the best possible support to students. It’s another great example of creating #CommUNITY! Teacher Core Values, Family, Interest/Hobbies, etc. On Wednesday, August 26th and Thursday, August 27th, students attended the State of the Eagles Address during ACT period. 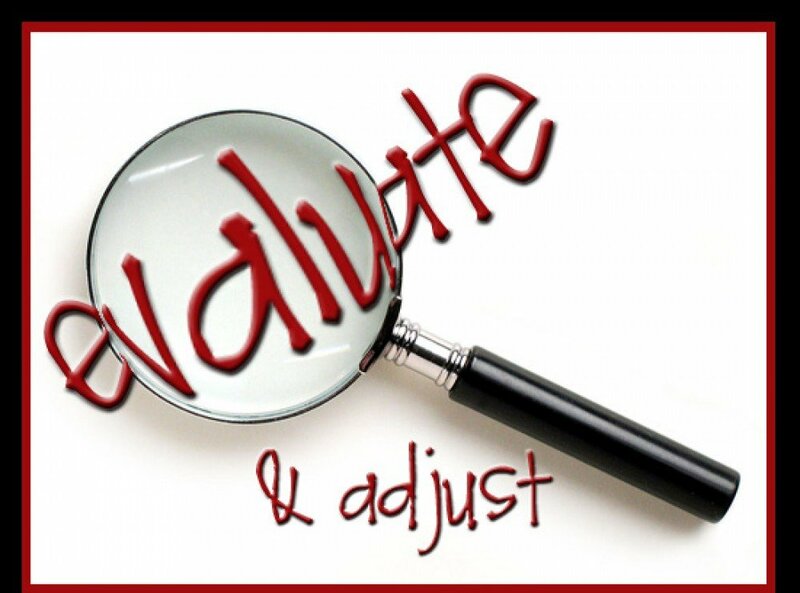 The State of the Eagles is an opportunity for the Administrative Team to discuss our academic, attendance, and discipline data with students, celebrate our successes, and set goals for the quarter. It’s also a way for us to establish expectations. This year, we approached it a bit differently. We asked students to organize themselves into groups of eight and to answer the question, “What should we expect of you?” After we reviewed a few items such as the importance of carrying their student ID cards, lunch dismissal, and other housekeeping items, students were given time to generate a list of expectations and then to narrow their lists into four expectations. A loud and proud “Eagle” shout-out goes to Assistant Principal Steve Gehlert for facilitating the State of the Eagles Address on Thursday! 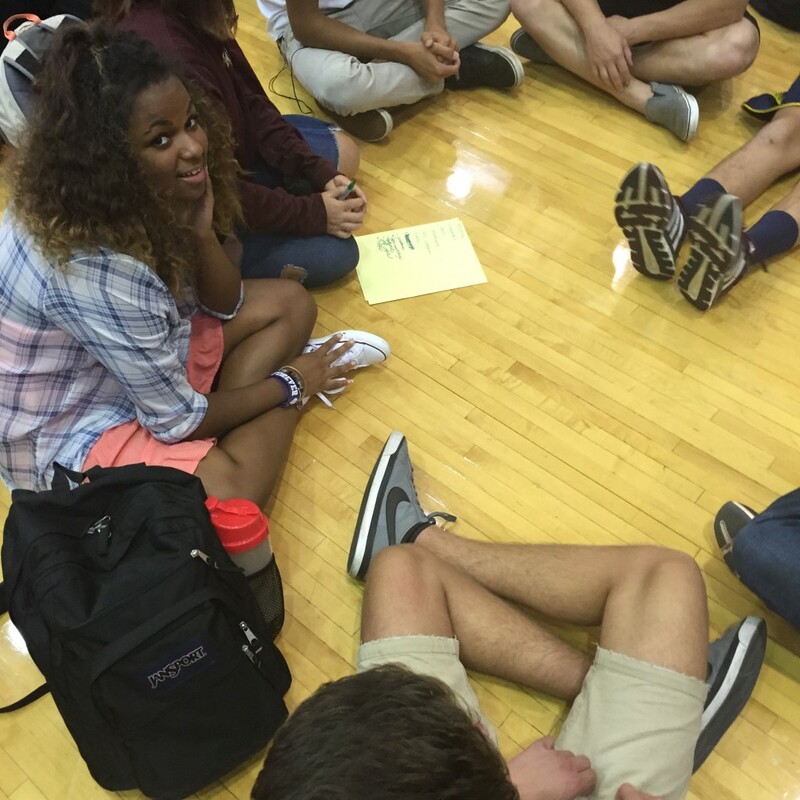 I was out of the building, so Mr. Gehlert took the reigns and facilitated nearly 700 students in the activity. Feedback was extremely positive! Our next step is to review each groups’ list, do an affinity grouping, and create a list of the top four expectations. Thanks also go to the School Counselors, Molly Salt, Kevin Reed, and Dr. Domine for assisting with the activity! Spanish teacher Hannah Macko created an activity to help students demonstrate their knowledge of Spanish vocabulary words. Students used Snapchat to review adjective agreement in Spanish II. After choosing adjectives out of a hat, students demonstrated knowledge of the vocabulary by acting out the adjectives in a variety of selfies throughout the school. They created captions in Spanish to describe each picture and were very creative with their selfie-taking abilities. Key Club President Sam Malik created an inspiring video and website to help raise awareness and funding for the Solar Panel building that was donated to us by The Ohio State University. He, along with the legendary Bill Resch, presented to the Board of Education on Monday, August 24th to thank them for embracing this partnership with The Ohio State University and support of this endeavor. In order to move the project forward, we must rely on donations to fund the rest of the project. 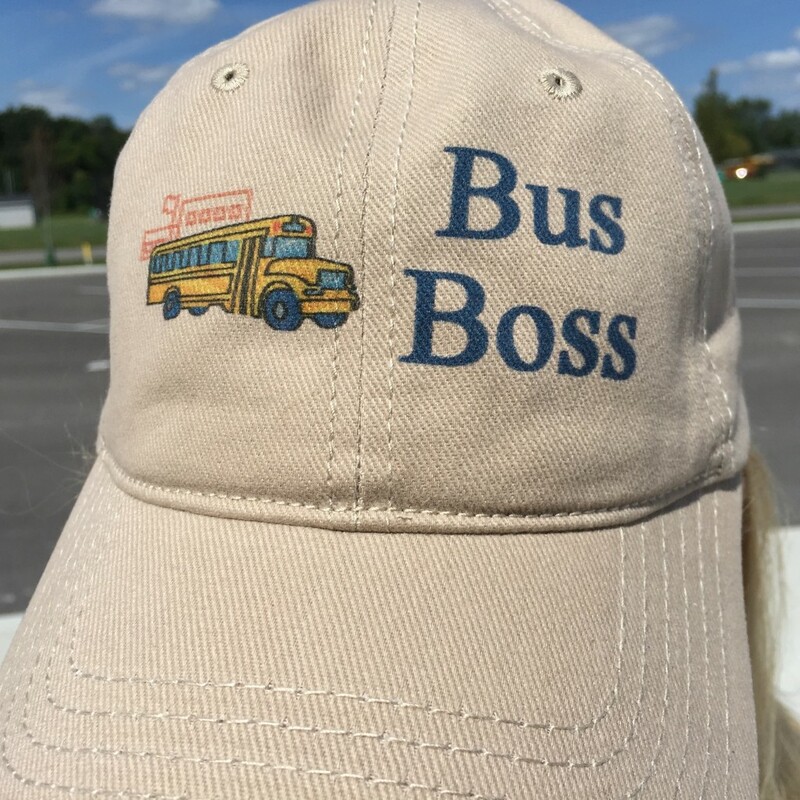 There is a lot of positive buzz about the possibilities of this project and teachers Greg Morris and Ali Laughbaum plan to incorporate this in their classes. For more information about this project, click here. 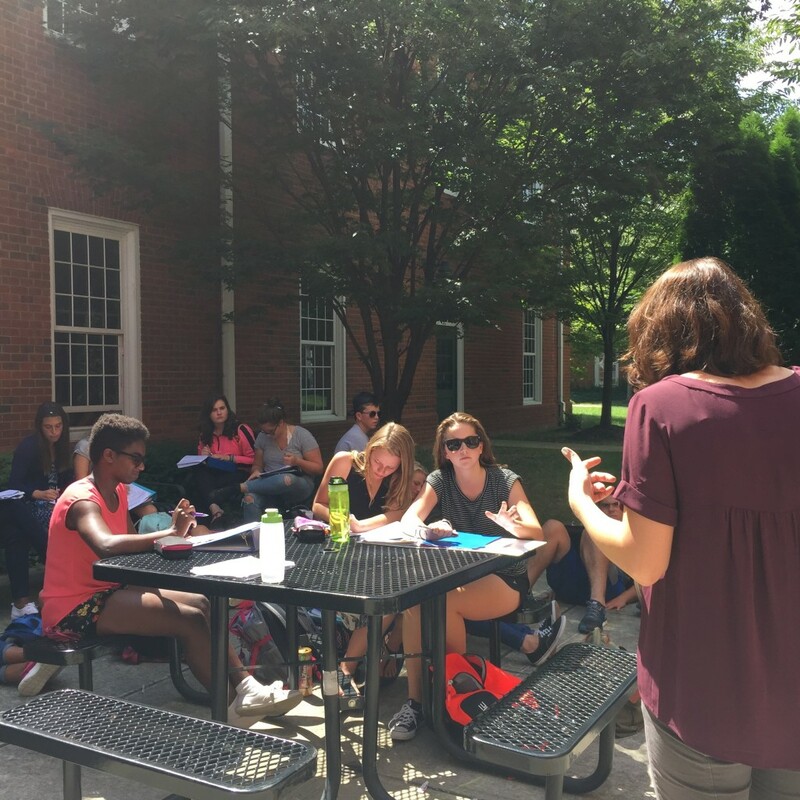 Humanities teacher Sara Hric held her 8th period class in the courtyard on Friday where her students discussed the meaning of the eagle. 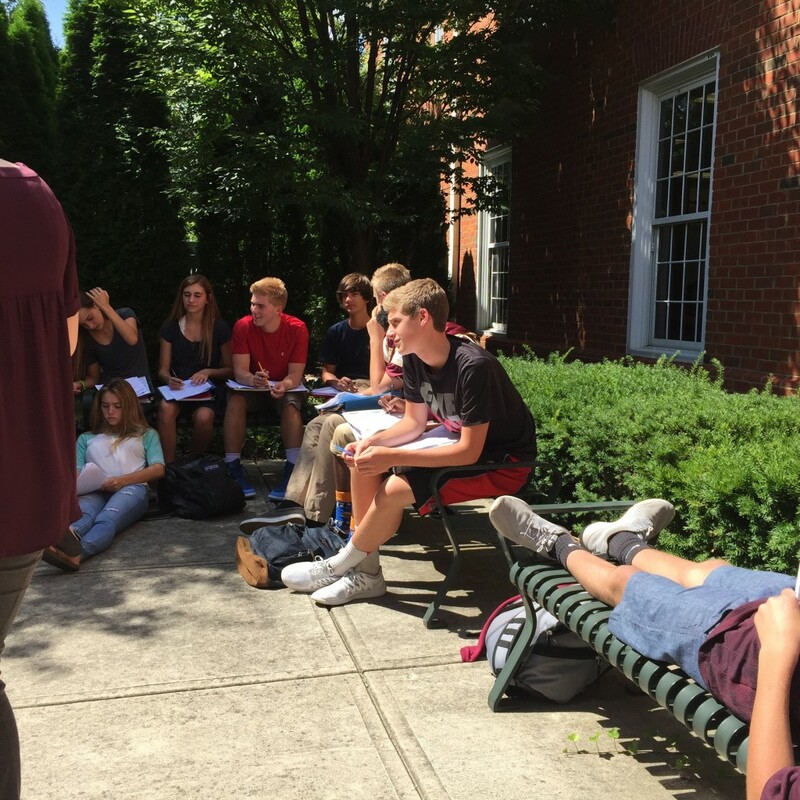 Students were basking in the sun, stretched on the benches, or relaxing in the shade as they discussed literary devices. The students were engaged and eager to participate. Sara provided specific feedback to students, which encouraged others to get involved in the discussion. It was an excellent example of differentiating the learning environment to meet the needs of students! 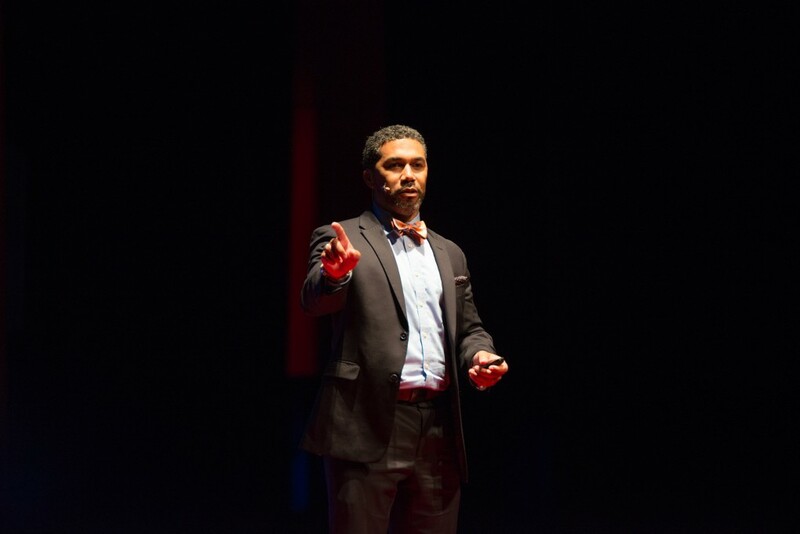 Access to and opportunity for professional development for educators has grown exponentially due to the use of technology, the need for more relevant and timely learning, and a growing dissatisfaction with the traditional model of “sit and get.” There are more options besides attending professional conferences. 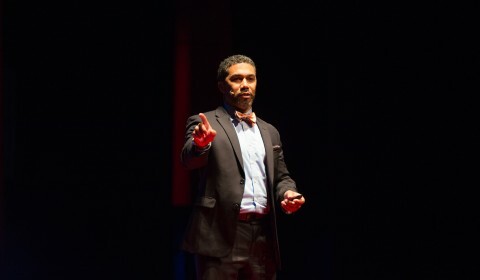 Don’t get me wrong, I thoroughly enjoy attending quality professional conferences to listen to dynamic speakers, attend a variety of breakout sessions, present, and connect with other educators to discuss hot topics in education and share best practices. 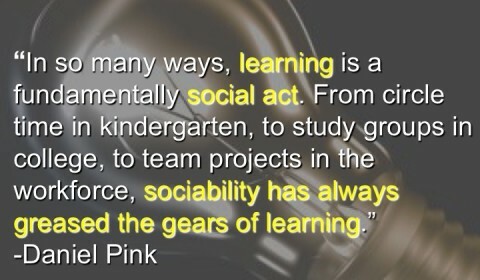 There are also many other ways we can engage in meaningful and relevant learning experiences on our own time, at our own pace, and in the place of our choosing. We have to come to accept that learning is a 24/7/365 endeavor not bound to traditional office hours. 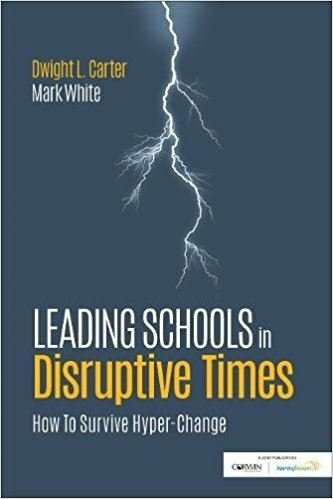 Technology has flattened the traditional professional development model by providing so many opportunities for those who want to take responsibility for their own growth and development. Following are six effective professional development strategies that are on the rise for educators. 1. 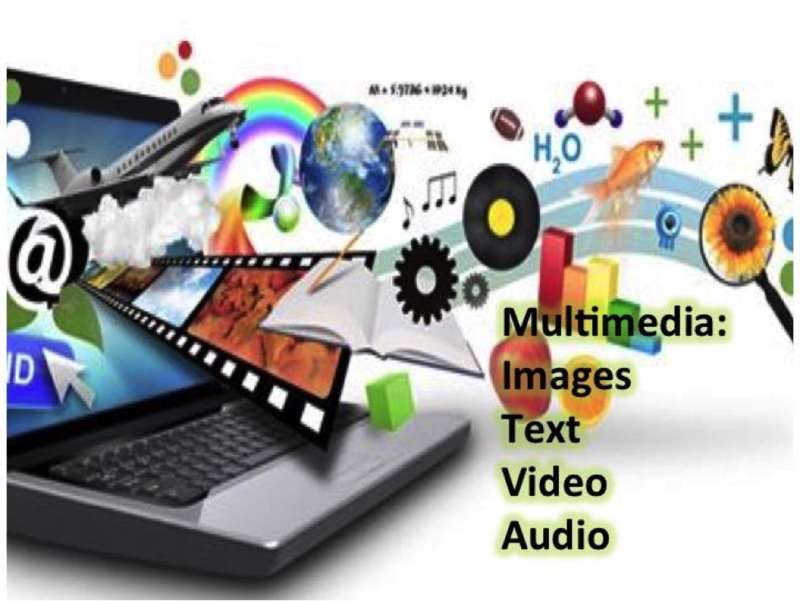 Webinars– Webinars are web-based presentations where participants register for and login at a specific time to interact with a presenter and and other presenters. Edweb.net provides a variety of webinars four to five days a week and there is a list of communities educators can join that are relevant to them. Most of all, they are free and typically occur after the school day. I’ve facilitated a webinar for Edweb.net and I thoroughly enjoyed it. The moderator managed the questions so we were able to have an interactive and engaging dialogue about the topic. I encourage perusing this site and consider joining a community that interests you. 2. Podcasts– Podcasts are web-based interactive conversations about a particular topic. Most podcasts are recorded live and archived for future use. One that I enjoy is PrincipalCast, hosted by Dr. Spike Cook, Theresa Stagner, and Jessica Johnson. These are weekly podcasts that include guest presenters that provide their thoughts and best practices about topics like implementing the Common Core State Standards, teacher evaluations, life after the principalship, pedagogical strategies, technology integration, and so much more. I also recommend you read this article for a list of 51 podcasts for educators. 3. Twitter Chats– A Twitter chat is a topic-based discussion on Twitter that is curated using a specific hashtag. Thousands of educators participate in weekly chats and school districts are starting to host their own chats in order to continue conversations outside of the school day. If you are going to participate in a Twitter chat, I encourage you to use Hootsuite or Tweetdeck to allow you to follow the thread of comments. Check out this calendar of the most popular Twitter chats, which was created by @cybraryman1. 5. YouTube– It is reported that YouTube is the third largest search engine in the world! Needless to say, if there is a topic you want to learn more about, search YouTube and I’m certain you will find a few videos that will increase your knowledge about a particular topic. Even better, you could create your own YouTube Channel to share your expertise with others. 6. Skype– Skype removes time and distance as barriers and provides a means to engage in a conversation with a group of people or individuals to discuss relevant topics. Additionally, it provides a simulated “face-to-face” interaction that is still important to have. 7. Google Hangout– Google is flattening the collaborative efforts by providing asynchronous means to dialog, discuss, and communicate about topics of interest. Many schools have created Google Hangouts for teachers to continue relevant discussions and share best practices that improve student learning. 8. Voxer– Voxer is an app that is on the rise in the world of connected educators. It allows for the same type of connectivity as Twitter, but it allows users to create groups for participants to actually chat live. The messages can be saved and archived for future reference. 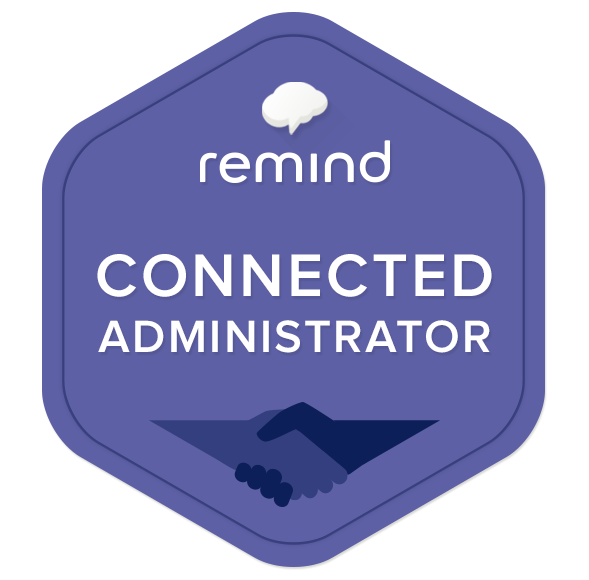 I’ve recently created a Voxer account and have joined the Digital Leadership and NASSP15 groups to keep in contact with other like-minded leaders. Other examples of how Voxer is used include book studies, interviews, and topic based discussions. 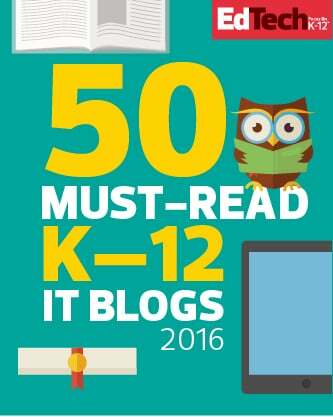 These are just a few examples of relevant professional development and you may notice that they are tech-based. 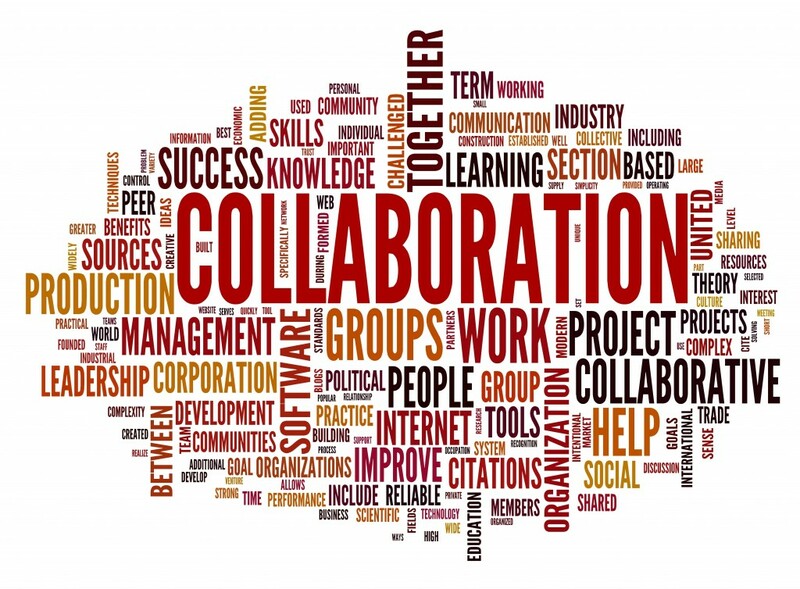 However, these do not replace the importance and power of face-to-face collaborative learning among peers. Consider adding one or two to your toolbox as you continue along on your journey as a life-long learner!